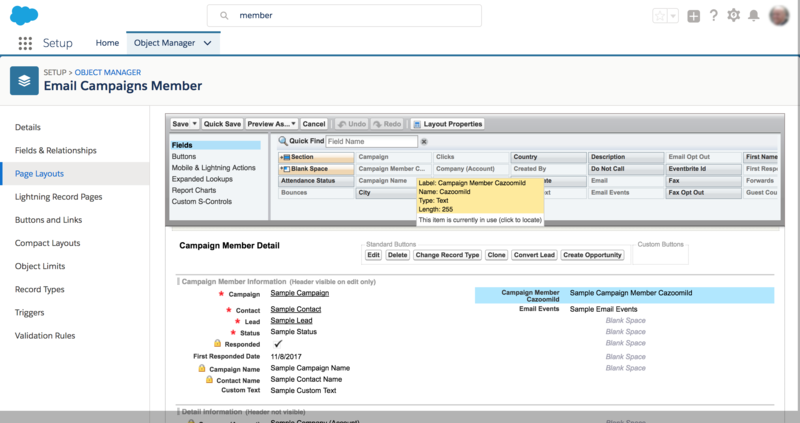 Once you have created a Sync Profile (don't worry it is simple to create) from your dashboard and are on Step 1 selecting "Sync Campaign Response" be sure to check your Salesforce layouts to make sure all fields created by SyncApps are dragged into the layouts for your Salesforce organization before continuing to Step 2. Sync Campaign Responses enabled feature is required in Step 1 of your Sync Profile setup before fields are automatically created by SyncApps. We also support your Marketing Automation Email Campaigns to track the metrics to Salesforce in various ways to meet any requirement. 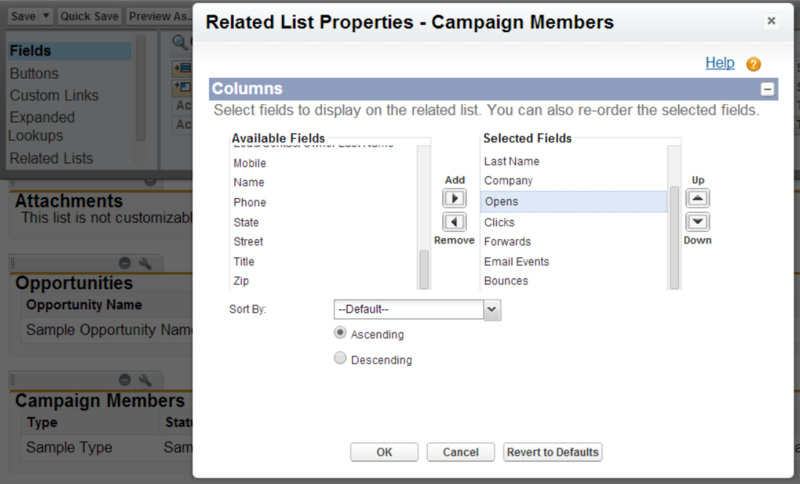 *Using Accounts Object (Person accounts) and need to see Campaign Metrics? *Campaign Response is synced every 24 hours so need real-time Marketing Metrics sync? 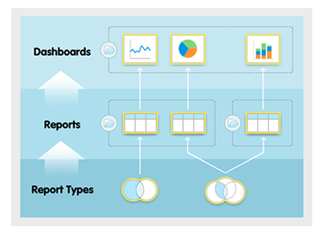 Upgrade to Enterprise today from your Dashboard! 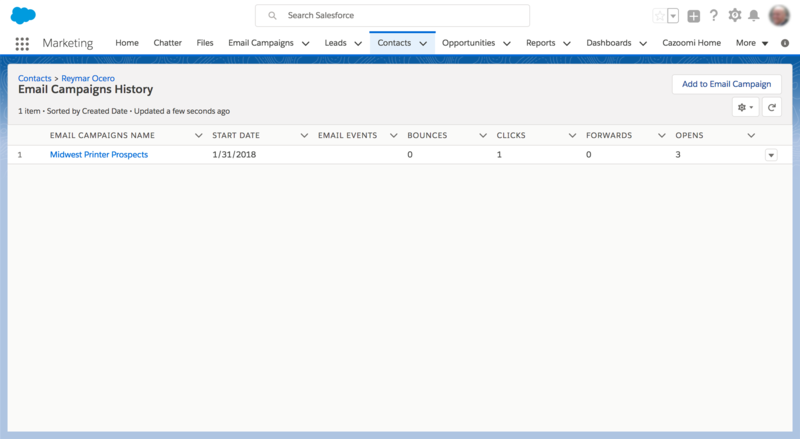 If using Salesforce Campaigns only then the Full Sync Add-On is needed if you use Salesforce Campaigns as List in SyncApps and want to automatically remove members. This will manage automatic Contact, Lead record removal features for Campaign members to Email Marketing Lists and Groups on each Full Sync schedule. What this means is anytime a record is added to OR removed from a synced Salesforce Campaign, created by SyncApps, it will always be in sync with the Act-On Software, Constant Contact, Delivra, ExactTarget, Mailchimp & VerticalResponse Lists/Groups/Categories/Segments. Any questions you have, please shoot our CRM team a note today.